From Big Agnes' award-winning, best-selling line of Fly Creek HV UL tents comes a bikepacking tent designed for on and off-road, two-wheeled travel. The pole segments have been shortened for optimal handlebar, pannier, and saddlebag storage. The burly compression stuff sack with a daisy chain makes storing these tents anywhere, a cinch. From Big Agnes &apos; award-winning, best-selling line of Fly Creek HV UL tents comes a bikepacking tent designed for on and off-road, two-wheeled travel. The pole segments have been shortened for optimal handlebar, pannier, and saddlebag storage. The burly compression stuff sack with a daisy chain makes storing these tents anywhere, a cinch. 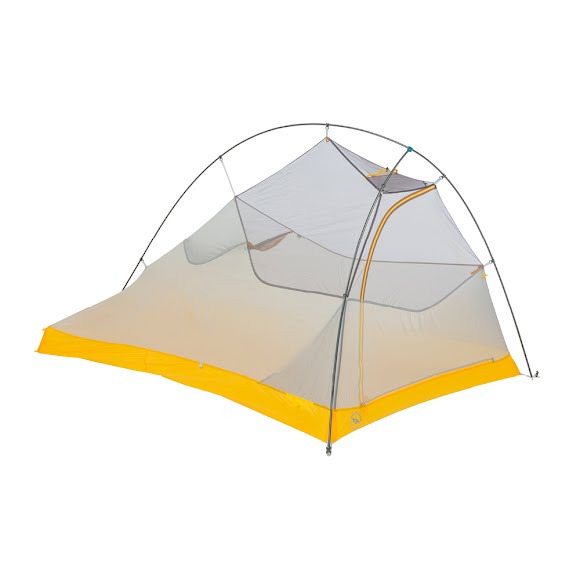 Enjoy the comforts of extras like an oversized storage pocket, webbing for dry helmet storage, and all the other features that make Fly Creek HV UL tents the bomb.